Your smile is often the first thing people notice about you. From family portraits to first dates, your smile is one of your most distinguishing characteristics. If you find yourself shying away from photos or hiding your smile, investing in orthodontic treatment can help you regain your confidence. At Raglin Orthodontics, we believe that everybody deserves a smile they can be proud to show off. With over 20 years of experience providing expert orthodontic treatment in the Metro Atlanta area, Raglin Orthodontics knows how to help you obtain the smile of your dreams. It is our goal to provide every patient with superior care and services that are focused on their needs. Our staff is here to help you embark on your journey to a healthier, more beautiful smile when you visit our state-of-the-art, family-friendly office in Lawrenceville. When you are here, we can show you how orthodontics can improve your appearance and your overall oral health. 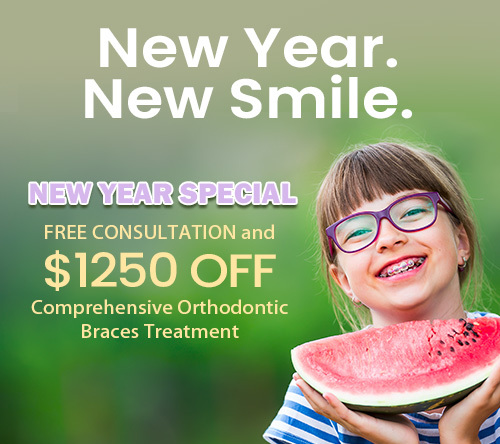 Take advantage of our complimentary initial consultations to get to know our friendly team and discover types of braces available and what our orthodontic services can do for you. Serving the surrounding areas of Duluth as well! Call our office at (770) 629-9216 to schedule an appointment. At Raglin Orthodontics, our staff members are some of the most experienced and knowledgeable in the industry. We consistently take advantage of new technologies and advancements in the field of orthodontics to improve the quality of our patient care. Our experienced Lawrenceville orthodontist strives to continue learning so that she can provide the best service possible. We offer patients the opportunity to improve the appearance and health of their smiles through the use of braces, clear aligners, two-phase treatment, and other trusted teeth alignment systems. We love to see you smile and will go the extra mile to make sure you complete your orthodontic treatment feeling confident and ready to take on the world. Patients across the Metro Atlanta area go wild for Raglin Orthodontics. Read our clients’ reviews to see why we are consistently rated one of Lawrenceville’s top orthodontic care providers. Haven't Spotted What You're Looking For?